4.4 out of 5 based on 50 bloggers and 6 commenters. 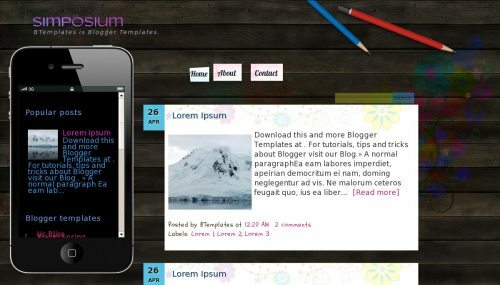 Simposium is a free blogger template with 2 columns, left sidebar, grunge style, an exclusive design for Blogger, posts thumbnails, girly looking and floral motifs. Excellent template for blogs about art, desktop or kids. Mantap untuk saya yang baru blajar bermodal Autodidak… Sukses…!!! How do you change the date like the example above?